CCTV for building sites, stables, warehouses and workshops. Our systems automatically log disturbances and record activities with playback footage. With infrared CCTV cameras to monitor in absolute darkness! Wired are experts at TV aerial installation. Don’t take our word for it, ask our customers! Whether it’s a new aerial or additional TV points, call us for a quotation! Our CCTV system is capable of viewing real time footage straight from your PC, Laptop or mobile phone. Our BT trained technician can assist you with any request and will carry the work out in a friendly, fast, efficient and tidy manner. If you are setting up a new office, we will be able to come and meet with you to advise the best system to suit your needs. If you are in an area where you struggle to receive a decent aerial signal for Freeview, don’t despair as Freesat is an excellent alternative. Not only can we install new points, we can also fault find and repair existing lines. All work is carried out by ex-BT engineers. Contact us to organise a full fault check! 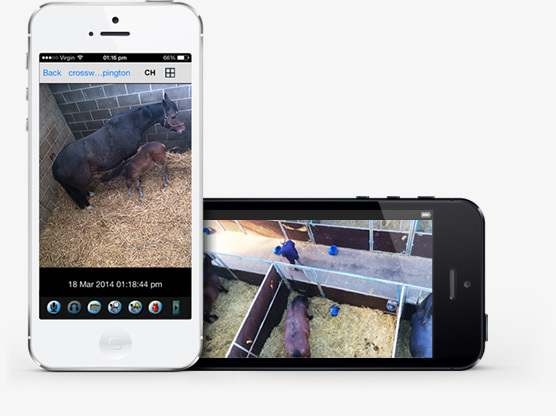 CCTV is ideal to monitor mares and foals. You can utilise the system to view each mare from one point within your operation, or externally wherever you are in the world. We can also set your system up with split screens so that you can view various areas at once, covering all aspects of your business from the horses through to equipment and employee areas. Some of our cameras include infrared to see in the dark which is excellent if you don’t want security lights flashing on and off. If you're in need of any help or assistance, please call us on 01638 281 234 or fill in the form below. I consent to Wired collecting my details through this form.